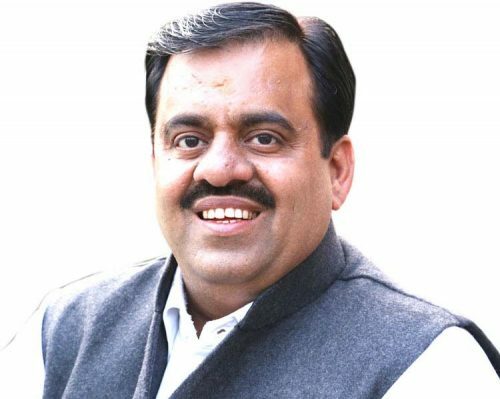 Chandigarh , November 30 : Commenting on Punjab Minister Navjot Singh Sidhu’s comment that not Amarinder Singh but Rahul Gandhi was his Captain, BJP national secretary Tarun Chugh today said, the cricketer turned politician was heading towards century of U-turns. Accusing Sidhu of changing colours like a chameleon, Chugh said while in BJP Sidhu hailed the contribution of Sh. Atal Bihari Vajpayee, Sh. Lal Krishan Advani, Sh. Narendra Modi, Sh. Arun Jaitley and other top leaders of the party by openly stating that he was the ‘Senapati’ and ‘Shishya’ of these senior leaders. “He used to ridicule Manmohan Singh by terming him as ‘Moni Baba’ and also stating that the former PM was ‘Sardaar but not Asardaar’. He was the man who said that ‘Congress to Munni se bhi badnaam hai’ and Rahul was a school going kid but in his greed for political position, took a shocking U-turn and unashamedly started eulogizing Sonia Gandhi, Manmohan Singh and Rahul Gandhi,” the BJP leader said. Chugh said, Sidhu – the man of U-turns – was clearly heading towards century of U-turns. “It seems that Sidhu’s lust for power would end with accepting Pakistan Prime Minister Imran Khan as his Captain,” he said. “Sidhu is a man who, in the morning, accepts Capt Amarinder Singh as his Captain and claims that the Chief Minister was a father figure for him but by the evening dumps him and claims that Rahul was his Captain,” Chugh said adding that Sidhu now stands exposed and the people of Punjab have seen through his games he plays for scaling the ladder to the corridors of power. The BJP leader said Sidhu’s statement proves that all was not well within Punjab Congress. “Sidhu, who had so many times challenged the leadership of Captain Amarinder Singh has once again sounded the bugle of rebellion in Punjab Congress,” he said.